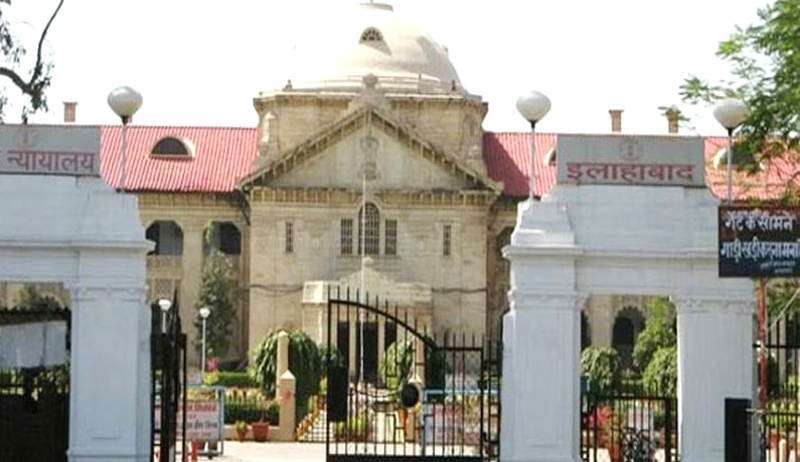 A seven-Judge bench of the Allahabad High Court has restrained 6 advocates from entering the Court premises of the District Court, after taking a serious note of the disturbance caused by these Advocates in the Court premises, by assaulting Judicial Officers and impeding Court proceedings. The Bench, comprising Chief Justice D.Y. Chandrachud, Justice Rakesh Tiwari, Justice Rajes Kumar, Justice V.K. Shukla, Justice Arun Tandon, Justice Tarun Agarwala and Justice Dilip Gupta also urged the presence of the Principal Secretary (Finance), Principal Secretary (Home) and the Principal Secretary (Law) for assisting the Court since important questions of safety and security of the Court are involved. In the first incident, Shri A.L. Gupta, Additional Chief Judicial Magistrate, Aligarh, while in his chamber, was approached by Advocate Ganesh Sharma who was representing an accused in a matter which was being conducted in his Court. The advocate allegedly placed an envelope close to the judge, demanding bail for the accused. As per the report, the Judge informed the Advocate that he would decide the case in accordance with law and that the Advocate should not offer him any inducement. The advocate then left the chamber, only to return 15-20 minutes later with two more Advocates, namely, Jagdish Saraswat, who is the President of the Civil Bar Association of Aligarh and P.K. Singh, former President of the Bar Association. The three advocates then assaulted the Judge, because of which he received several injuries. An FIR was later lodged and the case is under investigation. The three advocates were also restrained from entering the Court premises. A Division Bench of the High Court had already issued notices in the matter, while taking cognizance of criminal contempt proceedings. The Bench directed that the matter now be listed before the 7 Judge Bench. A strike was earlier called by the Civil Bar Association, Aligarh and the Aligarh Bar Association. This was however called off and it was decided that that lawyers would abstain from the Court of Additional Chief Judicial Magistrate, A.L. Gupta and to press for his transfer from the district. This, the court noted, was in violation of orders passed by the Supreme Court as well as the High Court. It hence directed notices to be issued to the Advocate Budhpal Singh, President of the Civil Bar Association, Advocate R.K. Chaudhary, member of the Civil Bar Association and Advocate Rambabu Sharma. Notices were also issued to the Presidents and the Secretaries of the Civil Bar Association and also to the President and the Secretary of the Civil and Criminal Bar Association, Iglas, Aligarh. Second incident took place in the Court of Ms. Swati, Judicial Magistrate, Allahabad on July 29. As per the District Judge’s report, certain Advocates entered the Court room of the Judge and assaulted two persons accused in a criminal case. Advocates involved in the assault were Advocate Rajesh Mishra and Advocate Shailendra Mishra, along with 20-25 unknown Advocates. These two advocates were also restrained from entering the Court premises and an enquiry was ordered to be conducted by the District Judge, Allahabad. The third incident taken note of by the Court took place at Harpur District on April 2. Mr. Ramkishor Kain misbehaved with the Civil Judge (Junior Division), Harpur District, M.K. Tiwari in his chamber. It was later found out that Mr. Kain is not an advocate and the registration number furnished by him was false. The Court restrained Mr. Kain from entering the Court precincts of the District Courts at Garhmukteshwar and Ghaziabad. The fourth incident took place outside the Court of the Chief Judicial Magistrate, Pratapgarh district on April 10. The District Judge was urged to furnish his report on the nature of the incident and in the identity of the people involved in the incident. Earlier on May 8, the Court had issued detailed directions to the State Government for ensuring due steps to secure the safety and security of the District Courts as well as the High Court. The issues are now pending consideration before the State Government. The disturbance caused by the Advocates in the District Courts has been a matter of serious concern for a while now. Last month, a Division bench of the Allahabad High Court, comprising Justice Sudhir Agarwal and Justice Dinesh Gupta has held 11 advocates guilty of criminal contempt and sentenced them to 3 months in jail. The lawyers have been held guilty of unruly behavior inside the Court of Additional Chief Judicial Magistrate (ACJM) in Sonbhadra in 2013. You may read the LiveLaw story here.